Arachova is a mountain town and a former municipality in the western part of Boeotia, Greece. Since the 2011 local government reform it is a municipal unit, part of the municipality Distomo-Arachova-Antikyra. Its name is of South Slavic origin and denotes a place with walnut trees. It is a tourist destination due to its location in the mountains, its traditions and its proximity to the town of Delphi. Greek rebels under Georgios Karaiskakis defeated the Ottomans at the 1826 Battle of Arachova. Arachova is situated at about a 970 m elevation on the southern slope of Mount Parnassus, above the valley of the river Pleistos. The municipal unit has an area of 139.448 km2. Arachova is located 8 km E of Delphi, 9 km northwest of Distomo, 18 km southeast of Amfissa and 26 km west of Livadeia. The Greek National Road 48 passes through the town. 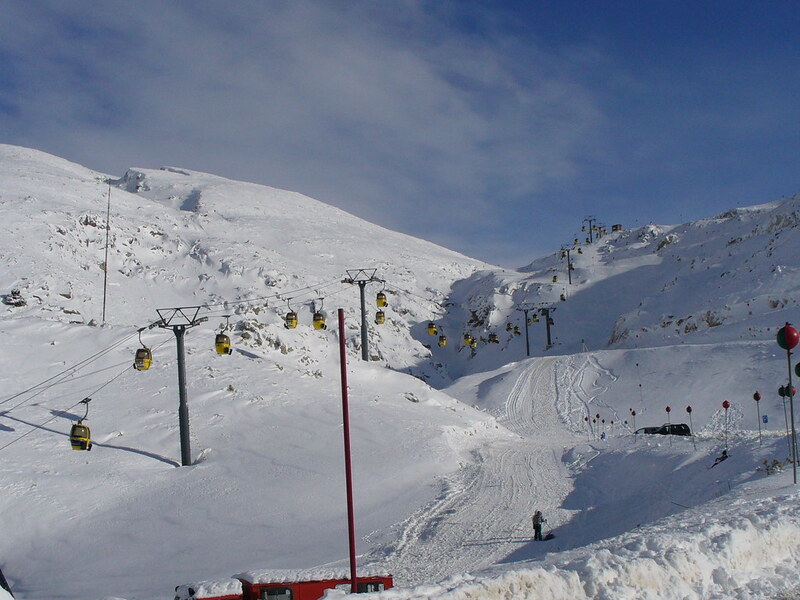 The Parnassos Ski Centre is situated to the north. The blue markers shows the location of various accommodations in Arachova. The letter in the marker describes the accommodation types: H for Hotel, A for Apartment, R for Resort, B for Bed & Breakfast and O for Other (e.g. pension, villa). Click on the blue marker for more information on the accommodation.